How the mighty has fallen. 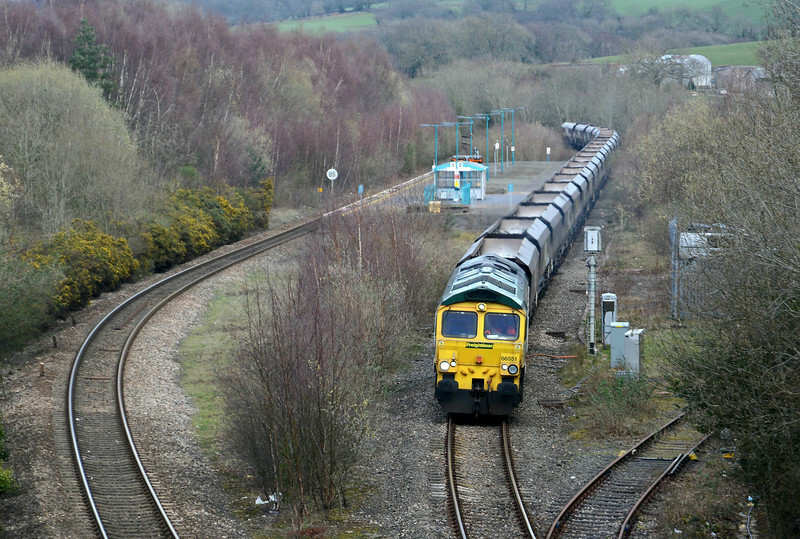 From being one of the busiest railway junctions in Britain (let alone Wales) what was Pontypool Road now sees a train in each direction once every two hours. 4V20 from FF to East Usk coasts through about 30 minutes late.